An employer has talked with an employee about possibly putting him in a new sales position. Before that can happen, the employee develops a medical condition which necessitates him being out of work for a month and taking FMLA leave. When he returns, he informs the employer that he will not be able to travel for a period of time. The employer then decides not to put him in the new position and ends up eliminating the position he is in. 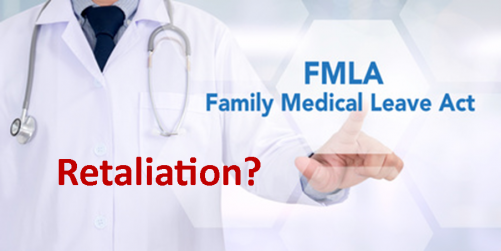 Could the employee make a claim of FMLA retaliation? Possibly so. A federal court in Ohio recently addressed a similar issue and found that this type of claim could proceed to trial. Manion v. Demandware, LLC, et al., Case No. 1:17-cv-1886 (May 29, 2018). Sean Manion started working for Demandware as a regional sales director in 2013. Manion did well in the job and was admitted to the “President’s Club,” a rewards club based on achievement of goals. But in 2016, Manion developed colon problems and ended up having to have emergency surgery. He had to take about a month and a half off of work and used FMLA leave during this period. Right around the same time that Manion had his surgery, Demandware was talking about eliminating the strategic programs team to which Manion had been assigned. At the same time Demandware was planning on creating a new position to assist the nationwide sales team and it seemed like Manion would be a good fit. According to Manion, he had a number of conversations with different Demandware representatives about serving in this new role. But things changed after Manion informed the corporate vice president that a few months after his return to work, he would have to have a second surgery which would require him to be out for another month and that he would not be able to travel until after his return from that second surgery. Ultimately, Manion’s position was eliminated and he brought a lawsuit alleging FMLA interference. Demandware argued that there was no causal connection between Manion’s use of FMLA leave and his termination. But the court disagreed—pointing out that there was evidence that Demandware fully intended to put Manion in the new position until he told the VP that he had to undergo a second surgery. Additionally, although one Demandware representative took the position that travel was a necessary component for the new job, the senior vice president said that the company could have accommodated Manion’s inability. Different representatives of Demandware took different positions regarding whether travel was necessary for the new position. This inconsistency could support a conclusion that the real reason for the decision not to give Manion the new role was his use of FMLA leave. As always, employers have to make sure to be clear and unified when it comes to grounds for employment decisions. Here, Demandware found itself in hot water because it became unclear whether concerns about ability to travel were really at the root of the decision not to promote this employee. This type of inconsistency can result in potential liability, depending on the circumstances.